Absolutely beautiful! Such an idyllic scene. Your technique really shines. Congratulations! Very lovely, can just about feel the breeze and hear the water going by. Thank you! The Cohansey river is really beautiful there are so many places along its path that are worthwhile painting. So glad you enjoyed it! Good to hear from you! Thanks for following my paintings. I am really enjoying having the time to paint! Stop around. Nice work!! How have you been?? 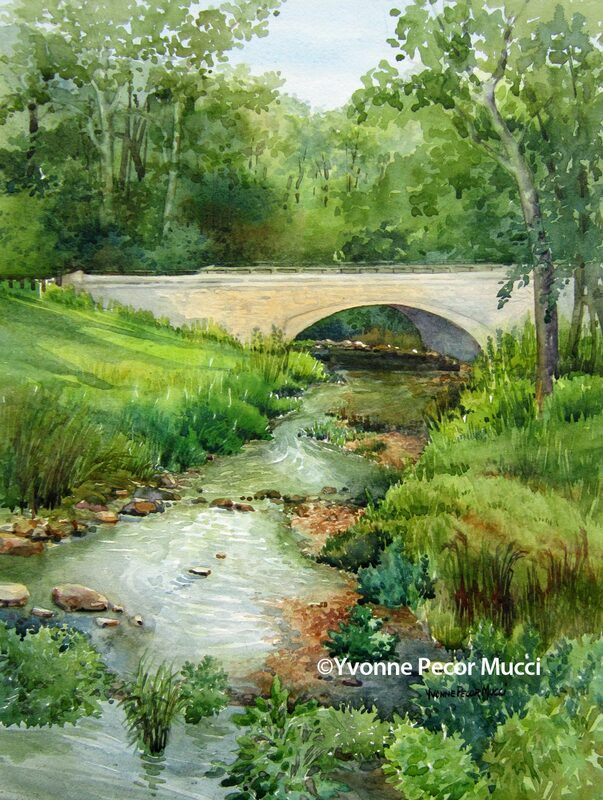 Lovely painting, Yvonne, and I’m inspired to get out of the studio and go and try more plein air. 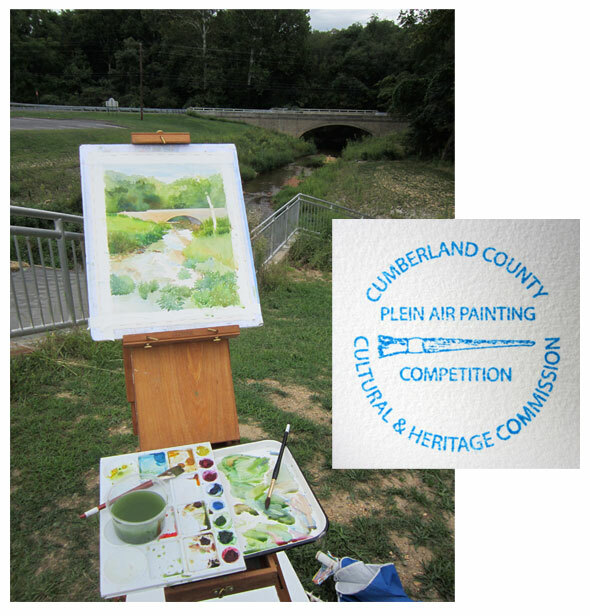 Last months edition of Watercolor Artist has some great articles on plein air. Last months edition of Watercolor Artist has some good articles on plein air painting!